So, I have left the office for the last time. I worked hard all evening and all night, making the long break for apples, tea and cigarettes. But now 6 am is approaching. It's time for traffic jams formation. So I was hurrying to gather my stuff and to leave the office. I turned on music. There was the "Blur" and the "Roots Manuva". In general, odd mix. For the last time I have picked all the utensils which were used during vigils, and put it in the sink. To wash it for the last time. Then I gathered the scattered here and there jars with sugar and coffee. And put it into my desk. I did not want someone would borrow it. Although, what was the difference to me if I was not meant to return to the office? Found an empty bag and tossed there all the garbage generated per night: apple cores, tea bags, cigarette butts. It seems a trifle. But the package was under the string. A scrubwoman will come today and throw it away. I left the process of washing dishes to the last moment, because no one likes to wash dishes. But I had to. For the last time I folded pile of saucers and plates. So, it's time to change clothes. Got out of the shorts, put on pants and sneakers. Put on waist bag with documents. Slammed lid of the laptop, put it in the bag, and then the wire. Placed the other bag with some stuff near the exit. Switched the office computer to sleep mode, turned off the fans. The last time looked at myself in the mirror, and left the office without regrets. 5.30. No pedestrians. But the June sun is almost at its zenith. Not in the zenith, of course, but it's quite bright. A lot of cars sweeps through the prospectus. The roads are wet because of the watering machines. I reached the car, peeled back the "ear" of mirror, opened the door. Threw the bag with laptop on the back seat. Started the engine, attach the DVR to its mount. Fastened my seat belt. Now I can drive. The last time I carefully moved in to the prospectus, and immediately began to shift to the left. The central streets, bridges, traffic lights. The sun hits through the gap between the buildings. I squinted and put on sunglasses. So I have got to the highway that leads straight to the center of my house. 15 minutes left, and I'll take a shower. Actually, I was planning to go back to the office over and over again. And I was still planning to wash the dishes there, and look at myself in the mirror. I was going to listen to the music there, and to repeat all the usual office affairs and rituals. I did not hell know that I was leaving the office for the last time. I realized that, when my car flew into the open hatch at a high speed. Jumped awkwardly and lost control, and dashed to the giant truck, which was moving in the opposite direction. Well, in that brief moment, I understood and guessed that today I was leaving the office for the last time. 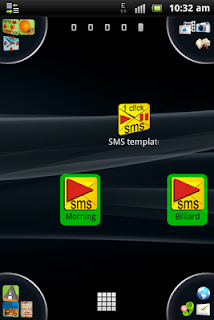 SMS templates: the free app. Coming in 2-3 weeks. 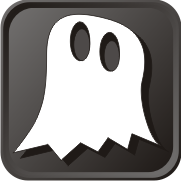 Scary soundz: the free app. Coming in 2-3 weeks. App - joke. Set the timer to play the scary sounds (which are integrated in the app), hide the phone outside, but so that it could be heard. At certain time (depends on how you set it) you and your friends suddenly hear the sound of footsteps, creaking doors, howling terrible, insane laughter (etc, 41 different sounds), followed by a flash (torch of phone). A simple application to create a schedule for sending SMS messages. For example, if you remember anything at night, and night is not convenient to write. 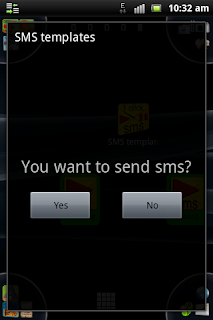 Specify the time to send "10.00", and SMS will be sent at this time. 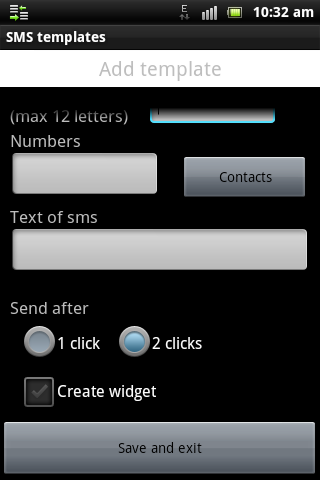 Or you can note all birthdays and set the sending of congratulations. 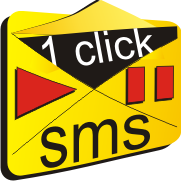 Простое приложение для создания расписания по отправке SMS сообщений. С его помощью вы можете создать сообщение и настроить его отправку на любое время, любой день и запрограммировать частоту: от ежечасно - до ежегодно. Например, если вы вспомнили что-то ночью, а ночью писать не удобно. Укажите время отправки "10.00", и смс будет отправлено в это время. Или запрограммировать дни рождения друзей и установить отправку сообщений с поздравлениями. В общем, вариантов использования - масса.